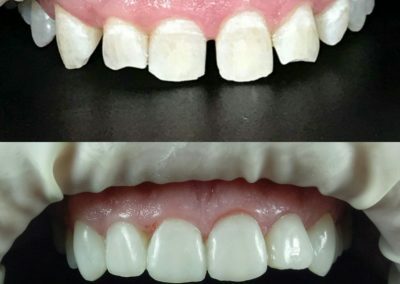 Dental veneers, which are occasionally referred to as dental porcelain laminates or porcelain veneers, are wafer-thin shells of tooth-coloured material that is seamlessly bonded to the front of your teeth’s surface. Most often done for cosmetic reasons, dental veneers change the colour, size, shape, and/ or length of your teeth, improving your appearance. 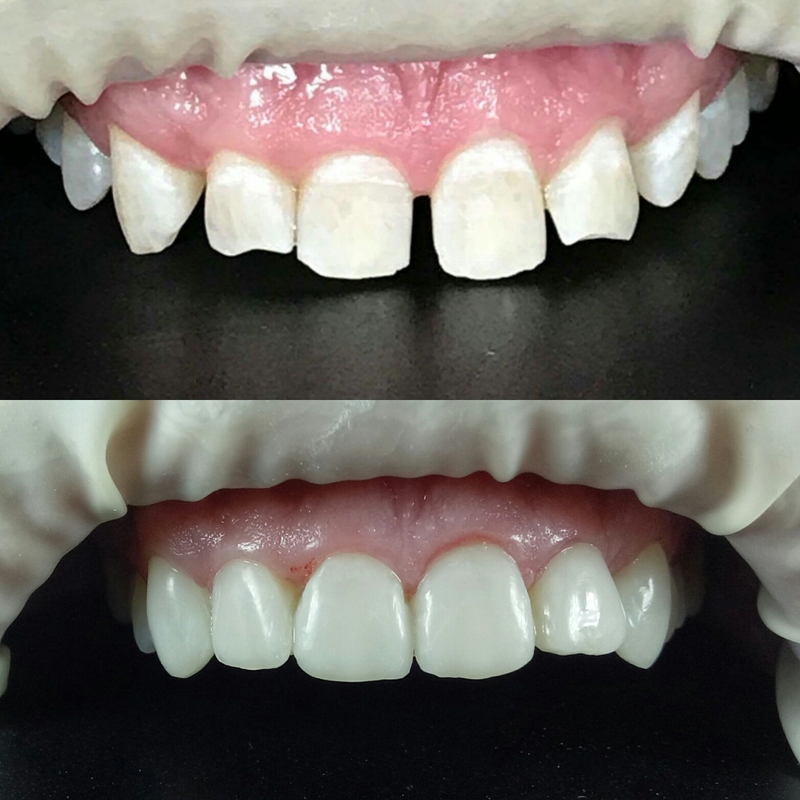 Dental veneers are typically made from a porcelain or resin composite material, which are both discussed in-depth below. Your dentist will help you decide on the best veneer material based on your circumstances, preferences, and budget.